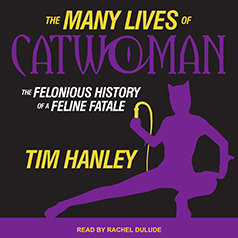 F or more than seventy-five years, Catwoman has forged her own path in a clear-cut world of stalwart heroes, diabolical villains, and damsels in distress. Her relentless independence across comic books, television, and film set her apart from the rest of the superhero world. When female-led comics were few and far between, Catwoman headlined her own series for over twenty years. But her unique path had its downsides as well. Read the full description. Put the word “Meow” in the subject line. Congratulations to Todd Travis, winner of last month’s giveaway of I Was Told to Come Alone. Thank you to all that entered.